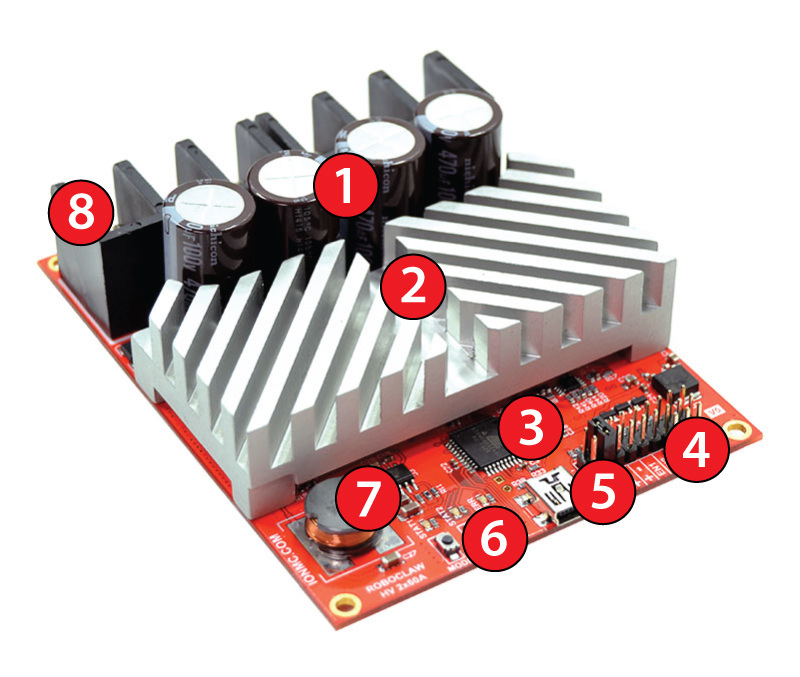 The RoboClaw motor controller features several types of protection to ensure the safety of the hardware in your system. On of the most important of these features is the battery cutoff protection. This features ensures that your system’s batteries are protected from both under and over voltage conditions. Today we will be covering how to configure and wire the RoboClaw motor controller for one of the most common control and drive schemes in robotics. In this tutorial we will show how the RoboClaw can be used in a differential drive robot controlled via an RC radio system. This may be the final configuration for your robot or a step in testing your hardware, either way you’ll see that configuring the RoboClaw takes little time and effort. The RoboClaw motor controllers incorporate several key technologies. This article is design as a quick overview of some of these technologies.